The Armenian side suffered 92 fatalities and 121 injured during the four-day war with Azerbaijan at the beginning of this month. “Our duty is to stand next to the families of fallen and wounded soldiers, keep them under our attention. I instructed to study the situation of the families of perished and wounded servicemen, as well as issues related to their housing needs. Those who live in rented apartments or houses in Yerevan, will be provided with apartments. In other words, if there is need, we will provide housing,” said Margaryan during the City Council meeting. This is not the only initiative by which state institutions and society seek to support servicemen. 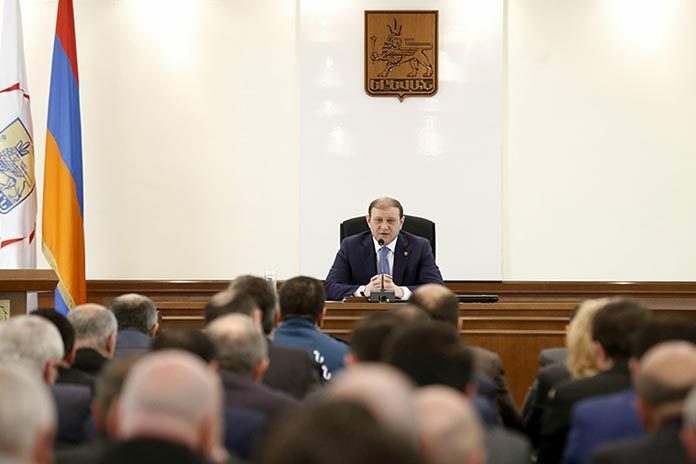 Prime Minister Hovik Abrahamyan instructed the Ministry of Economy “to create sources of stable income for the families of servicemen killed in action.” Armbusinessbank, in its turn, nullified credit obligations of the families of perished soldiers. Through the initiative of “First Necessity Items and Food from Rear to the Frontline” essentials have been taken to the frontline in Karabakh several times.